During Jan. 2018, Heilongjiang province will bring Intangible Cultural Heritage Exhibition to Denmark. 22nd Jan. 14:30 – 17:00 Roskilde Libraries. Dronning Margrethes Vej 14, 4000 Roskilde. During holiday, people use paper to cut all kinds of animals and plants graphics. After being dyed with light ash as well as lined with gold, silver, pink and green papers, they posted them on large sheet of paper, which are bright and beautiful. 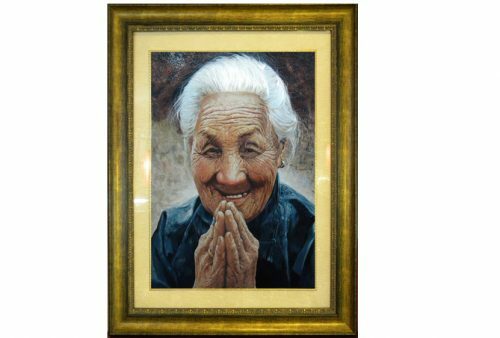 During the wedding ceremonies and birthday celebrations, they pasted scalet red large “Joy” or “Long life” characters on the walls or windows in all kinds of shapes to convey the happy messages and auspicious folk customs. 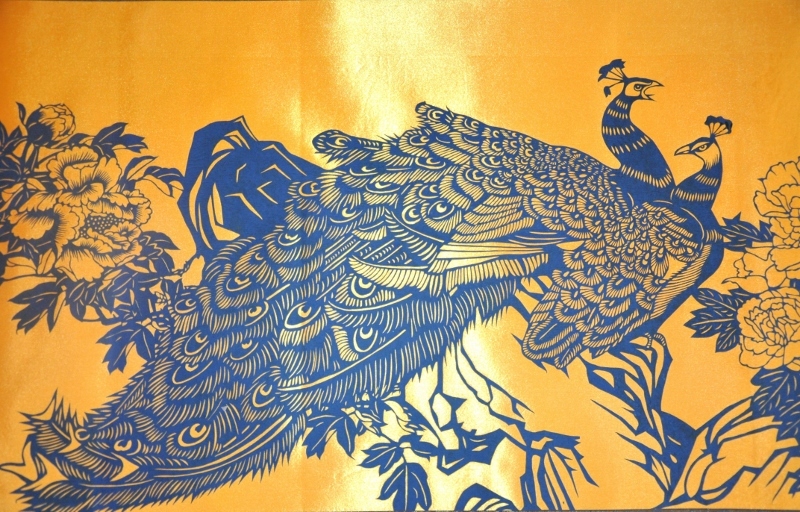 The New Year wooden print is the traditional form of folk art of the Han ethnicity. In the early stage, the New Year prints in Heilongjiang were the traditional prints with the folk themes of auspiciousness and exorcism, and later it steps into reflecting the spirit of the times and the new look, heroes, achievements, and scientific knowledge. The wood print uses printing in red, printing in blue, Puhui and other methods from Central Plains of China, and later it gradually evolved into offset plate. The production skill of birch bark is the unique traditional handicrafts, which is practiced by the Oroqen and Ewenki in the Greater Khingan Mountains as well as Hezhe people in the Three-River Plain area of China. Birch bark has good waterproof, anti-corruption, flexibility and other characteristics, commonly used in the production of boats, baskets, containers, boxes, bowls and other production and living appliances. These tools were hand made by a hunting knife in the early days, sewn up from the tendons of deer and other animals, and had become the unique way of life and cultural characteristics of the fishing and hunting nation. With the development of society, it has been constantly evolved into various types birch bark paintings and folk arts and crafts. As one of the traditional Manchu embroideries in Heilongjiang province, Mrs. Wang’s Embroidery uses plain embroidery, appliqu, pandingxiu embroidery, lock embroidery, barbola, disordered needlework and other more than 20 kinds of embroidery skills with a wide range of subjects and rich and colorful contents, among which there are many series such as Manchu customs, snow, figures, flowers, jewelry, etc. Every piece of work is integrated into the unique cultural connotation of the Songnen Plain in northern China. The fabric is diverse, the composition is ingenious, the color is exquisite, and the embroidered line is fine, bright, elastic, which all reflect the beauty of harmony between man and nature and exude the broad and profound Chinese traditional culture. 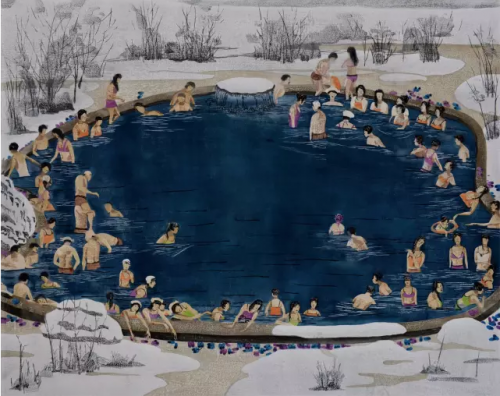 The Hezhe people live mostly in the Three-River Plain area in northern Heilongjiang, where the Songhia, Heilongjiang and Ussuri rivers come together. The Hezhe have traditionally been hunting and fishing people. They are called the “Fish Skin Tribe” because their traditional clothes, hats and shoes were made of fish skin. By the traditional craft, Hezhe people make clothes and daily necessities from the skin of northern cold-water fish. The cortex of cold water fish in the north has certain thickness and toughness, is more wear-resistant and easy to be used. The Hezhe are famous their fishskin dresses—which show their talent for utilizing natural resources and adapting to their environment. 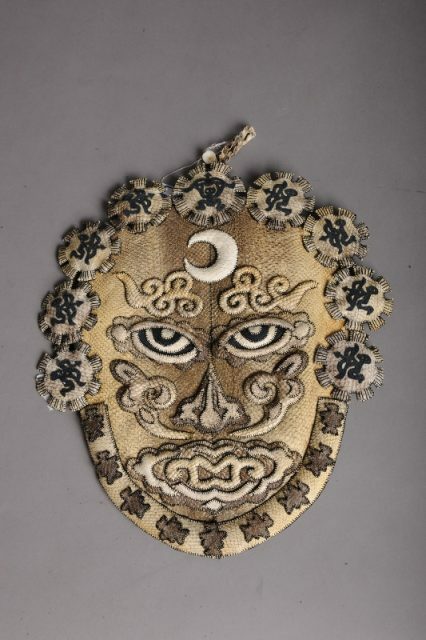 Based on the refine scales and texture colors, the fish skin is carved, pasted and sewn to produce colorful costumes, fishskin paintings and ornaments in different shapes with very rich national characteristics, and the content of which is mostly of traditional daily life and religious belief.